Do you want to have only a certain part of your body to get slim? Can that be done? With a fruit diet, yes! The problem is, many have tried but failed. What made them fail? 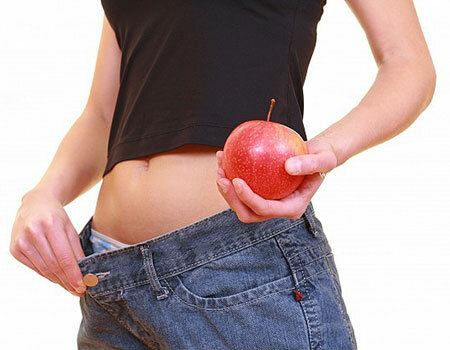 Here, we will tell you the successful way for you to cut your weight with a simple fruit diet. It's reasonable to lose 1.5 pounds of weight in one month. Aside from it, if your hypertension and cholesterol levels in the blood are controlled and reduced, then you'll certainly be having excellent results. First of all, you should know that obesity and blood cholesterol levels are related with each other, thus you should find a way to eradicate either of them. Did you know that there is also a strong relation between diet and blood sugar? If you feel hungry, it means that your stomach is empty or your blood glucose level is low. When you feel hungry, instead of eating anything else, try drinking a few drips of sweet drinks. Yes, amazingly, your hunger will disappear. So this answers it—that you can control your hunger by regulating the glucose amount in your blood. We understand that most women want to lose weight and lose body fat on only a certain part of their body, specifically their belly fat, and fats under the arms and inner thighs. Are there any secret methods or techniques that can help you achieve this? 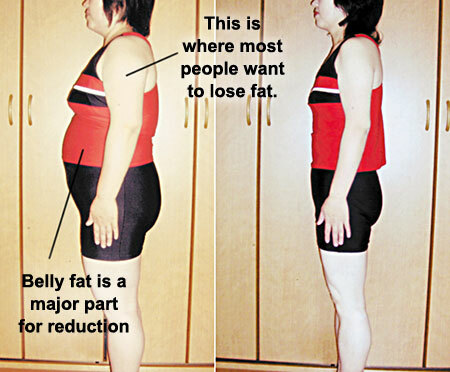 However, it proves to be difficult to find a way to lose or burn fat on only a certain area of your body that you want. It's because your body just don't work that way. Here's how you should get rid of your body fat in an orderly manner. The first thing you should do is to reduce the amount of fat in your liver. The liver controls glucose levels in the blood, so a fatty liver can in fact interfere with your weight loss program because of reduced fat burning and metabolism, so you may want to target that first. Second is the visceral fat (abdominal fat). And lastly, the subcutaneous fat (fat underneath the skin). If your belly fat is reduced through exercise, it means that the visceral fat is also decreased. Losing fat under the arms and legs is time-consuming, so start by reducing your liver fat and visceral fat. Exercise can help decrease harmful body fat and start building a healthy, fit, and slim body form. Exercise gives a huge benefit to your entire body. Also, it is more beneficial if you do exercise before meal. Exercise increases blood glucose level. A higher glucose level in the blood makes you feel full and will reduce your eating habits. Remember, the regulation of your blood sugar level is a key to managing your weight. Exercise gives you several benefits to reduce your unneeded fats and blood glucose and of course, lowers your risk of diabetes, too. Why do some people never seem to get fat even though they eat a lot? Many wonder why, and we receive a lot of questions asking the reason. Looking for the answer, we found out that most of these people are burning more energy compared to average people. All of us have different mechanism and construction of the body including our minds. Our mind can control the consumption of energy, too! For normal and healthy people who may feel hungry easily, is all due to the reduction of blood glucose level. By eating, the hungry feeling will be eliminated, and large amounts of insulin will be secreted. This cycle has to be adjusted little by little, day by day, and week by week. Also try to reduce the amount of meal you take gradually. It is not a hard thing to do. If you cannot control this, drink water or tea whenever you feel hungry, or try eating low-calorie foods such as agar-agar or vegetable gelatin or very small amount of chocolate. Finally, we can tell you that it is not necessary to choose the kind of fruits you should eat. Some say apple is good, some say orange is good, and so on. Remember, you can eat any kinds of fruits. 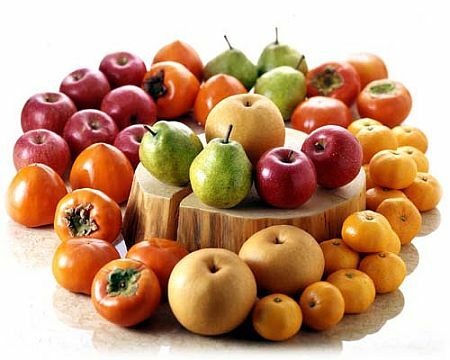 They all contain valuable nutrients, and fruits have less harmful calories, which you have less worry to burn. The PYRO-ENERGEN machine may have no effect on weight control but it will certainly help you avoid encountering diseases during your hardship of adjusting your blood glucose level with fruit diet—especially if you are a diabetic patient.